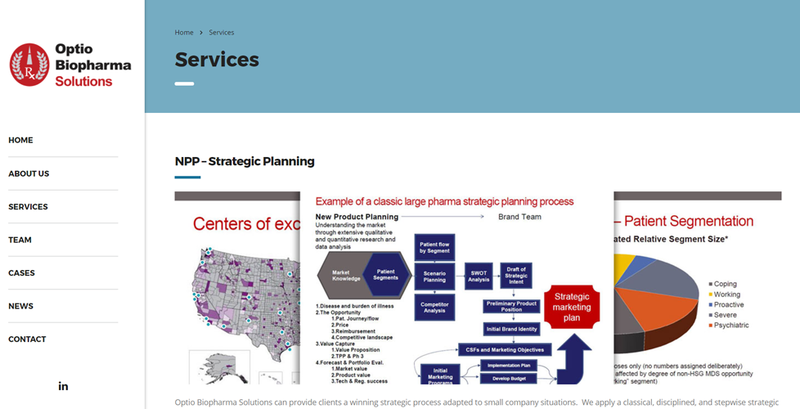 3PRIME recently launched a new website for Optio Biopharma Solutions, LLC. This new website is better formatted and easier to maneuver, with an improved navigation and a focus on services and projects. In conjunction with building a new website, 3PRIME was also tasked with redesigning Optio’s logo and designing a large-format printed banner for the company. 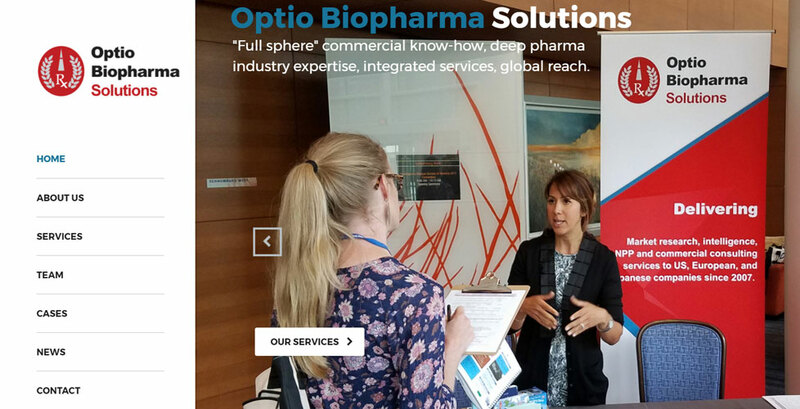 About the client: Optio Biopharma Solutions, LLC is a business that works with bio-pharmaceutical companies providing marketing and strategic commercial support, sharing insights, expertise, and tactics with their clients. Located in San Francisco, CA, they’ve been in business since 2007. Since then, they’ve conducted national and international market research for numerous clients in the pharmaceutical industry. Their research involves nearly every type of stakeholder in the pharmaceutical market, such as physicians, patients, caregivers, pharmacists, etc. 3PRIME selected a quality WordPress theme, installed and customized it for an optimal UI experience. 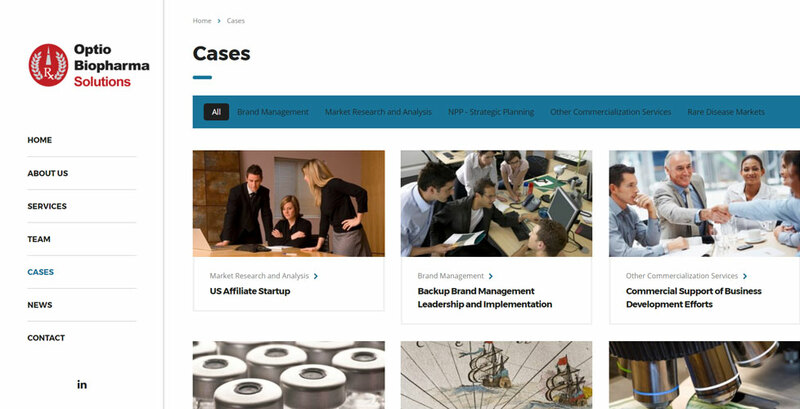 3PRIME wrote custom HTML and CSS to enhance the performance and look of the new website. 3PRIME developed professional-quality designs to represent the client and help boost their branding.